The new year is always a perfect time to take a step back, look at what we want to change, and start anew. New year’s resolutions can be a great opportunity for personal growth and transformation, so why not implement positive change for your business? Our social landscape is constantly evolving as each year flies by and your business benefits greatly by keeping up with it. These 5 tips are some of the best ways to give your business a fresh face as we start the new year. Adding a new element to your business can mean anything as large as adding a new service to your menu to something as small as making a social media page. Not only will this expand your business, but it will help you grow as a businessperson. Additionally, this step forward in your business can bring much excitement to your clients and following. And, it might even attract new customers! Nowadays, businesses have inherently become multi-faceted. It’s no longer just about about keeping your business tidy and maybe putting an advertisement out once a month. It is now encompassing not only the business itself, but multiple social media platforms, digital and print advertising, calls, texts, extensive email lists, and much more. It’s a lot. But strategizing can help you keep all of these things at bay. Effective strategizing will take a look at desired audience, reach, business qualities and much more. For instance, think about who you would like to reach and the most effective methods of engaging that audience. Creating a streamlined plan for what you want out of your business will give you a much clearer idea about what the multiple parts of your business should look like. In a world that is connected with the touch of a button, a constant stream of communication is more important than ever. Your clientele follows you for a reason­­— because they genuinely like you and your business model. So why not update them on the things that happen in your day-to-day work or an inside look into your business? Something as small as a status update or picture can truly go a long way in today’s social media age. If you have many exciting things coming up for your business, maybe write a newsletter letting others know what your business is up to. Reaching out more not only makes your followers more excited, but it will keep your business in their minds the next time they see something from you. Where do you want your business to be within the next month? The next quarter? Or by the time we ring in the next year? Continually setting goals is a vital element to any business, not just in its beginning phases. It’s tremendously beneficial to sit down every so often and evaluate where you are and where you want to go from that point. Once you have these goals on a piece of paper, plan. Those goals won’t become a reality if you don’t have a game plan implemented. Create a task list of what you want to have accomplished and set a date you want it completed by to hold yourself accountable. Hopefully these tips help you create a successful business plan for 2019! Let us know in the comments below what you are doing for your business in the new year. In the content heavy world we are living in today, creating visuals that demand attention can be a challenge. People want their content quick and they want it now. One of the best digital platforms for easy entertainment can be found on Instagram Stories. Read on to learn how to create a successful Instagram Story. Shout out to special guest, Tiger the puppy, for helping me out and blessing my camera roll! Live- If you toggle your screen to the "Live" option, you'll start filming and broadcasting live on Instagram. Like Facebook Live, friends can follow along and leave comments, and when you're done with the broadcast, you'll have the option to let the video disappear, save it, or share it Instagram Stories for an additional 24 hours. Boomerang- Boomerang mode films 3 second looping Gifs. This one is fun. Focus- The focus lens acts similar to the Portrait mode on an iPhone. It blurs the background of the profile or object in focus to give the photo a professional feel. GIF’s- This is probably my new favorite feature Instagram has rolled out. You can now add a plethora of moving GIFs to your imagery and videos! Simply use the search bar using keywords to find the perfect one for you. Here’s to dreaming of the day Insta makes us a GIF lens! Poll- a great little gadget for your followers to make decisions for you! Is it ‘Doughnut’ or ‘Donut’? See what your friends think. Selfie Stickers- Under the stickers option, there is a mysterious camera circle button. When you click on it, a magic bubble will appear on your screen and inside will be, your face! You can take a selfie and use the bubble as a selfie sticker to use in any photo or video. I am into it. Now the real fun begins. Try these pro tips to enhance your stories originality! Catch the Rainbow- Not finding the color you want to use in the basic options they offer? Hold down on one color and the entire color spectrum will pop up so you can fine-tune your color options. 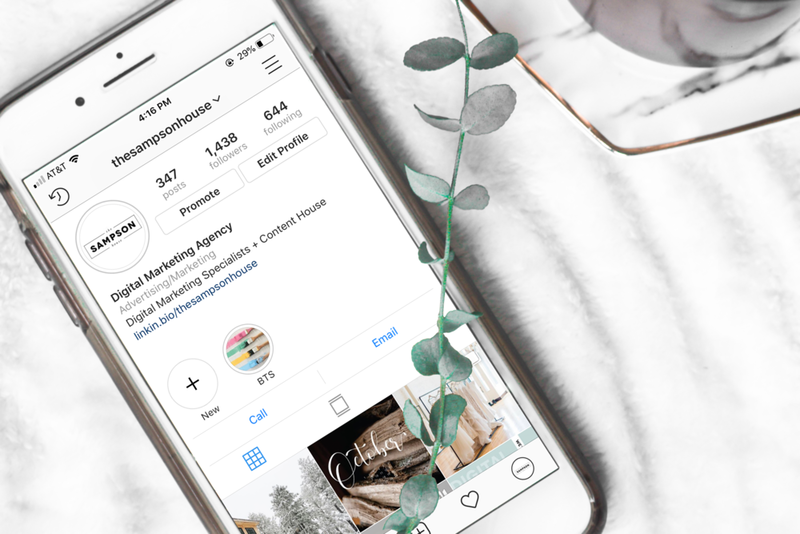 Templates- Many Instagram influencers have begun to use Instagram templates. These templates allow creators to match their stories and profiles aesthetic to create one cohesive brand. Instagram Stories Templates are pre-made layouts with graphics, text, or animations that you can edit to fit each new story. I have been using the app called Unfold to spice up my story life. They offer free, easy to use templates to give your Story a little something extra. If you want your followers to stop, look, and remember your Stories, give Templates a try! Leave a comment and let us know what your favorite insta-story feature is! Copy and photography by Grace Fjellanger.